Based out of Stamford, Connecticut, attorney Daniel P. Weiner has 40 years of legal experience. His experience has allowed him to become one of the foremost experts on criminal matters such as felonies, misdemeanors, and juvenile matters. Working with an experienced attorney, such as Daniel P. Weiner, means that you can relax knowing your case is in the right hands. His firm practices throughout Fairfield County and has clients in various parts of Connecticut such as Danbury, Wilton, Bridgeport, Darien, etc. Please call or email to set up a free initial consultation. At the Law Offices of Daniel P. Weiner, we believe in protecting the rights of people facing criminal charges. Our experience in criminal defense, juvenile matters, and traffic violations will ensure a simple process. 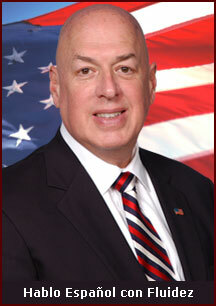 Attorney Daniel P. Weiner brings 40 years of legal experience to the table. During this time, Weiner has handled various cases ranging in complexity. His experience has taught him how to analyze any challenge and plan an effective defense. Attorney Weiner currently practices throughout Fairfield County and has clients in Greenwich, Norwalk, New Canaan, Darien, Bridgeport, Danbury, etc. For 40 years, Stamford attorney Daniel P. Weiner has served people in Fairfield County and throughout the state of Connecticut. He and his staff are committed to providing effective legal counsel and serious, aggressive representation to people dealing with a wide range of legal matters, including criminal charges, juvenile matters, personal injury or divorce and family law issues. At the Law Offices of Daniel P. Weiner, we believe that you deserve an attorney who will provide the individual attention your case deserves, while maintaining an honest and straightforward relationship with you throughout the process.